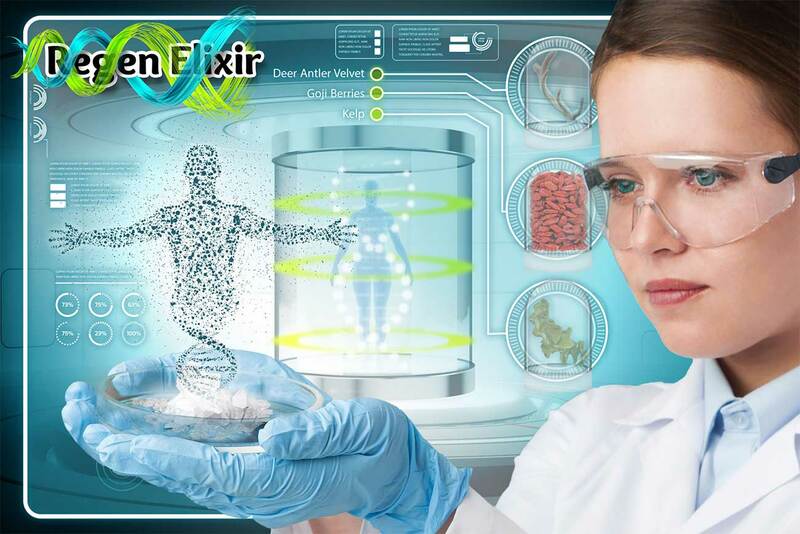 From world-wide farms, we source humanely and respectfully harvested deer antler velvet that is prepared with industry approved, safe, and quick velveting removal methods with appropriate techniques for the deer. This process is overseen by veterinarians and includes government over-site of animal welfare; improperly done velveting is illegal and unnecessary in a marketplace with over 2,000,000 pounds sold annually world-wide. 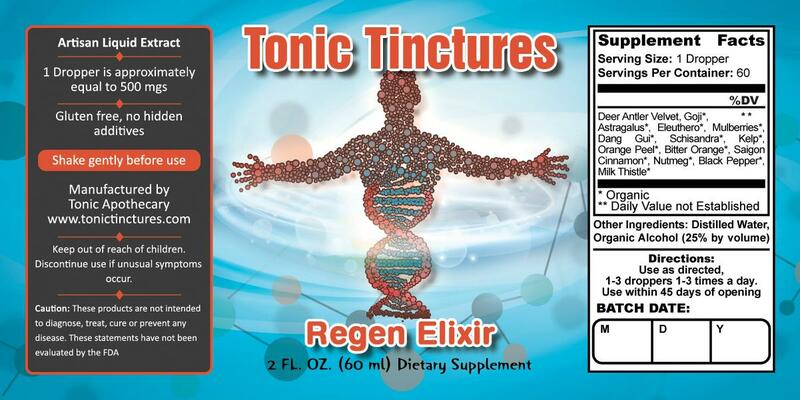 Regen Elixir Tincture is 1500mgs extract per 1ml dropper. let me tell yah , with these two products I was able to start working out again. I have less body discomfort and I feel a faster recovery. I just feel stronger overall. Have to mention, I was a champ with my wife first dose. I've been learning and see that when taking this tincture that I will get better results if I take it at dinner. This is important. I've been doing this for a couple weeks now and I do feel more awake and energy the next morning and I think that this may be helping. I notice that I am more lean which is probably from better digestion and my bags under my eyes don't look so bad. From what I gather on this site is that it seems to be due to the nighttime hormone release and stress counteracting effects. Overall another good tonic. Jason can really make these tinctures work, this stuff really sped up my regeneration metabolism. I had to start eating more meat and eggs to feel satisfied, adding this formula to my dinner with selenomethionine and zinc mag b6 supplement makes it so that I am barely sore from training the next day. So far overall recovery is up and overtraining is only a bad dream.